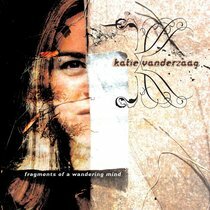 Described as Alanis Morissette meets Missy Higgins, 'Fragments of a Wandering Mind' is Katie Vanderzaag debut full length album, following up on her 2002 release, 'What It's Like'. Two years in the making, the new album, produced by Gavin Chan, was largely co-written with Compliments of Gus songwriter Jared Haschek, and takes Katie's level of class and professionalism to a whole new level. About "Fragments of a Wandering Mind"